If you are preparing to build your dream home, your thoughts will invariably turn to flooring, and while there are many materials that can be used for flooring, there are also many factors to consider. You might, for example, be expecting to live in the home for 5 years, after which you plan to relocate, and in such a case, you do not need to look any further ahead when selecting your flooring. If, on the other hand, you expect to spend the rest of your life in the house, then you want flooring that will stand the test of time. In order to help you come to a decision, here are is an overview of the flooring materials commonly used today. Solid Timber Flooring – Pricey yes, but it really is the ultimate flooring and it will last a lifetime. There are many timber species to choose from; oak, walnut, mahogany to name but a few, and if you would like to explore your options, Google is your best friend and will help you locate a local flooring company. The best flooring supplier is TFCC, who have a wide range of solid timber flooring and can deliver to any location in Australia. Engineered Flooring – This is basically a real timber finish that covers a composite core, giving you the look and feel of real timber and a composite core that is both strong and durable. Prices are lower than that of solid timber, and for many Australians, engineered flooring ticks all the boxes. 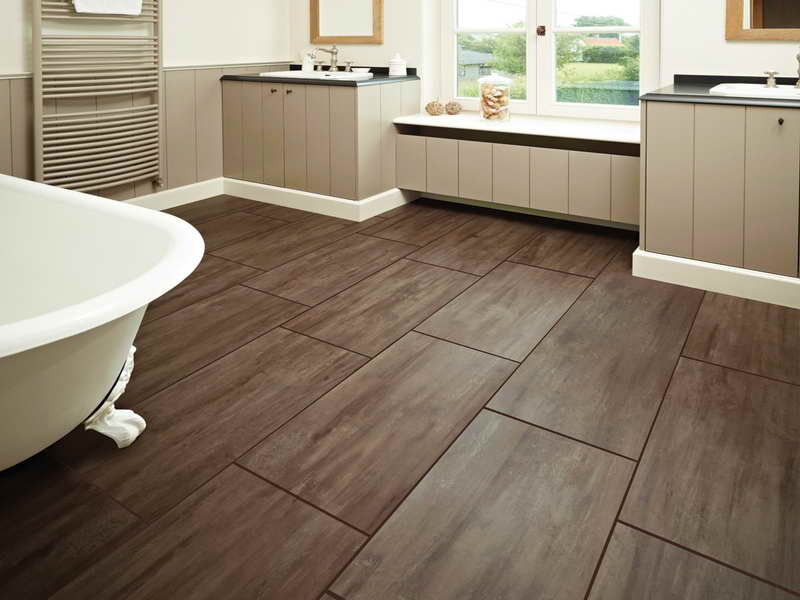 Vinyl Flooring – Perfect for those wet areas, luxury vinyl looks and feels like solid timber and is very easy to install. You can expect to see 15-20 years of trouble-free use with vinyl, so it really is value for money. You might have solid timber in certain rooms, in which case, vinyl is perfect for the kitchen and bathroom, as it is totally waterproof. Bamboo Flooring – Bamboo’s amazing properties are being recognised in the construction industry, with some people having their homes built with bamboo, and for flooring, bamboo offers many benefits. It is easy to keep clean and extremely durable and the finish is stunning, and this affordable solution is a good alternative to solid timber. Laminated Flooring – Very durable, laminated flooring comes in timber, slate and stone finishes, and like vinyl, is very easy to install on just about any substrate. While this flooring material was extremely popular a few decades ago, advances in composite technology brings vinyl into the equation, and when comparing the two, vinyl comes out on top. Whatever flooring material you choose, make sure it is installed by a professional. The floor might need a backing, which would be made of cork, and this gives the floor a soft feel underfoot. The best way to fully explore your flooring options is to search online for an established flooring supplier, who would most likely offer all of the above. Compare prices to ensure that you are getting a good deal and hopefully, your flooring will be a highlight of your dream home.